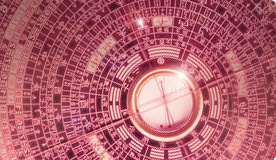 Frequently Asked Questions, Myth or Truth in Feng Shui aspect. 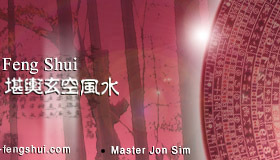 Frequently Asked Questions in Feng Shui aspect with Master Jon & Auntie Liu. An aquarium setup at SE corner promote prosperity and harmonize good qi. The Universal SE sector regard as wealth corner are consider New Age theory. 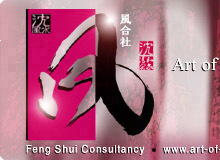 This new system is known as "Fast Food Feng Shui" and is not being recognize by Classical Practitioners. Plants with round leaves are preferable for good feng shui? The main door should not face sharp edges and single lamp pole. Depending on the distance range and sight from the main door. Furniture with loose parts or sharp edges create negative energy for our home. It make us feel uncomfortable but not negative flow. Avoid buying a house that are broad at the front and narrow at the back. I'd been told never to have any dead plants at home. It must be remove once it dried up to prevent dead chi from flowing out and become harmful. Anything dead make one feel uncomfortable but it's got nothing to do with bad energy flow. Placing Dragonhead on the work desk represent authority at work? Water should not be placed on the right hand side of your front door. Q1 - Wearing red clothing underwear is considered to be very lucky. Q2 - Goldfish are used in Feng Shui to absorb negative energy. Water or plants in the bedroom cause bad luck?